To answer the December Dolce Vita bloggers question, "How are you connected to Italy?" my Italian connection is at the most a tenuous one and unlikely at that. Keep reading to see how I ended up living in this country, with no Italian family, background or connections to speak of. So, it’s been a while. While I definitely regret that I haven't been able to blog in a while, it’s allowed me to do some pretty cool things in the meantime. Here's what I've been up to in my work, personal and online life over the past 4 months. I hope this isn't too weird, but I'm going to set the scene from where I'm writing this. I'm sitting here in my apartment, looking out of my big living room window to the apartment across from ours. My neighbor is currently spritzing a tree of some sort, wearing what I believe would be a "house dress", which, in true Italian fashion, is something she wears only at home. I can hear her yelling at a pigeon that dared step foot on the side wall. This is her territory. She's put in a 10-hr day of work on her balcony; my guess is she had her son and grandchild over to her apartment and put her son to work pruning and cleaning everything up and that's who I've seen out working all day. She has so much love for her plants and has a seriously rocking terrace to show for it. Early mornings and late nights are spent watering and caring for her plant babies, something that I just cannot manage to succeed in. This woman is a serious inspiration for having greenery in our lives. 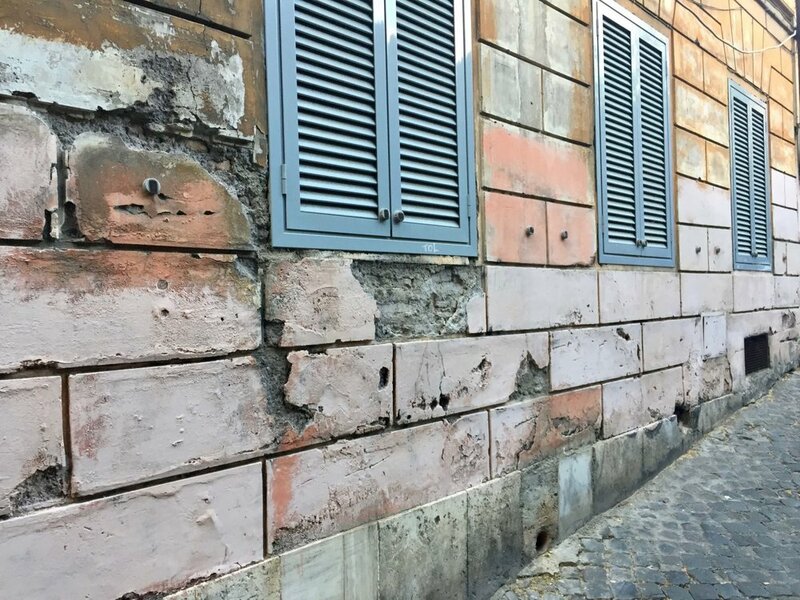 I'm not sure if this tiny piece of my life in Rome is at all interesting, but I'm sharing it because even the most mundane things in Italy are fascinating to me. With my trip to the States coming up exactly one week from now, it's put me into a mindset of thinking about American and Italian cultures and their differences. Whenever I go back home, it's such a culture shock from living here and it's quite unnerving at first. From the food to the people, the smallest things in Italy are so "other" than those in the U.S. but as time goes by, I'm starting to lose that outsider perspective here. Life moves at a different pace, so while it's exciting to go home, visit bigger cities and talk to people who grew up like myself, it's always a tiny bit of a relief to come back here, and look out my window at my dedicated gardener of a neighbor. To catch everyone up with what's been going on here the past month or so, here's a photo roundup of my time in Rome, my recent trip to the Amalfi Coast and some other fun things! My friend Jess came to visit last week and we definitely fit a lot in. The morning after she got in, we left for a weekend trip to the Amalfi Coast. I booked a hotel in Praiano, Casa Colomba, which is along the coast between Positano and Amalfi and it ended up being the perfect spot for us. It was nice to be a bit more removed from the crowds in either location and also have easy access to the entire coast. Our room had an amazing view and we actually spent our first day lounging on the rocky Praiano beach, followed by a great seafood dinner in nearby Atrani. We spent our second day exploring Positano and hanging out on the water there. I love shopping while I'm in Positano because there are so many beautiful clothing boutiques and ceramic shops. I bought a couple of things as gifts and also had to make a last-minute bikini purchase as I left mine back at the room. Thankfully I found one on sale because the prices in Positano are notoriously high! We rented a boat for a few hours and took it out for a ride along the coast. It was such a fun way to see the area that I hadn't done before and we had a lot of fun. The water there is absolutely unbelievable, so swimming and boating was incredible. We didn't reserve anything in advance; to rent the boat we just checked at a few stands around Praiano and Positano, eventually taking one out from Positano because it seemed easier logistically. Prices run from €100-€300 for a couple of hours to a full day and it was relatively easy to drive without much experience! It's always somewhat strange to celebrate holidays like Thanksgiving and the 4th of July in a foreign country and can sometimes leave you missing home more than usual. Depending on the holiday, I'll try to do a fun event with friends and family, while this year for the 4th of July, I actually worked at an American ex-pat event. I helped out at a booth for the company I'm currently doing social media for and ended up having a fun day talking to Americans living in Rome, eating burgers and being surrounded by festive decorations. Thankfully I also had my America-loving boyfriend and my American friend visiting to make it even better. With visitors I roll out all of the Roman classics and we end up eating out quite a lot. Last week, I made it back to da Enzo 29 and got a plate of Amatriciana and Coda alla Vaccinara. It didn't keep me cool at all but at least we were seated outdoors and I made a reservation 2 days ahead this time. We also heard people asking for the next available reservation and it was ONE WEEK OUT. So people, call ahead at this famous Trastevere spot. Luckily I can learn lots of Italian dishes from Edoardo's mom, Franca. Jess was very excited to try her hand at gnocchi with pesto and I don't think she was disappointed. A little background though— gnocchi making takes a lot of physical strength and it isn't for the weak of heart. Franca assured us that it's a little easier if you mash the potatoes when they're freshly boiled. It was such a great afternoon and we learned how to make a pretty delicious dish by the end of it. That's about it! It's definitely been busy around here recently, but everything is starting to slooow down for the hot summer months in Rome. Hopefully this means that I can get back to posting more frequently. Edoardo and I are both really excited for our trip to the States and a little beach getaway that we have planned for August, but I have a lot more to share about summer in Italy before heading out! Last weekend, we went to a vineyard in Umbria called Tenuta Vitalonga Winery. I definitely want to write a post about this great agriturismo and vineyard, but for now it's enough to say that we spent the entire day drinking different types of wine with an open buffet of food, for €20. They had a fun event going with live music and bottomless bottles, with tours of the vineyard and wine production process. I also got to meet fellow Italian blogger, Ishita of Italophilia, and spent such a nice afternoon with her around Campo de' Fiori and Trastevere. 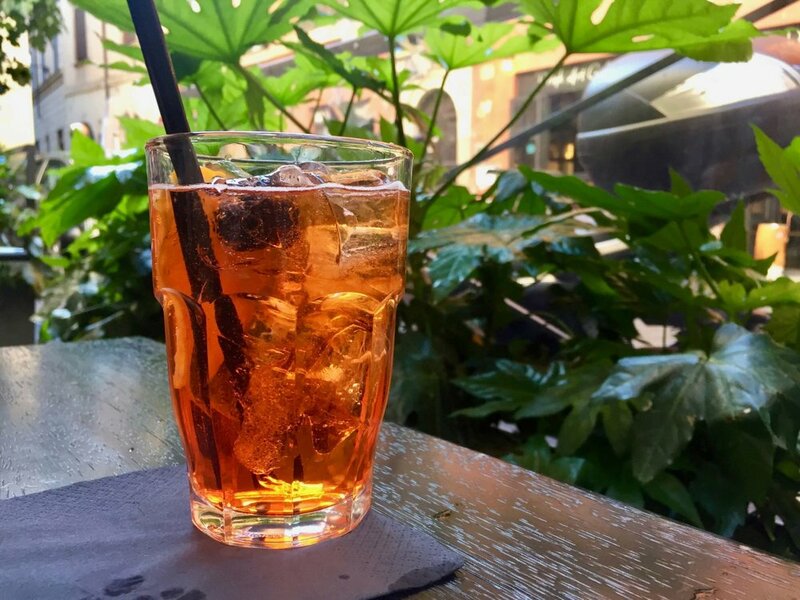 We got drinks, checked out English bookshops and chatted about all things Italy. Check out her Twitter and Instagram (@italophilia) for daily bits of this beautiful place. Testaccio is always the cool place to go for local shops and typical Roman food. I was really impressed with my quick aperitivo at MASTO because of their service and wide selection of meats, cheese, and wine (what else do you need in life?) We stopped here before heading to Flavio al Velavevodetto and had a great meat/cheese board and a fabulous white wine recommended by the owner. He says that they're doing very well and are planning to expand soon to other cities in Italy as well! As always, a beach trip was exactly what I needed. After spending a lot of time in the center checking out all of Rome's lovely monuments and neighborhoods, we escaped the hot weather and went to the coast for a couple days. We lounged (mostly under an umbrella), ate fish, drank spritzes and pretty much enjoyed life. With all of the weekend trips we've been taking, I've really tried to do my produce shopping outside of Rome as well. The food is so much better, cheaper and fresher when you get it from farm stands instead of at supermarkets. Italy also has amazing produce in general, with fruits and vegetables that have very strong natural flavors compared to what I was used to in the U.S. Aside from getting all in of the pizza and pasta while visiting Italy, definitely try some fresh veggies or fruit as well! 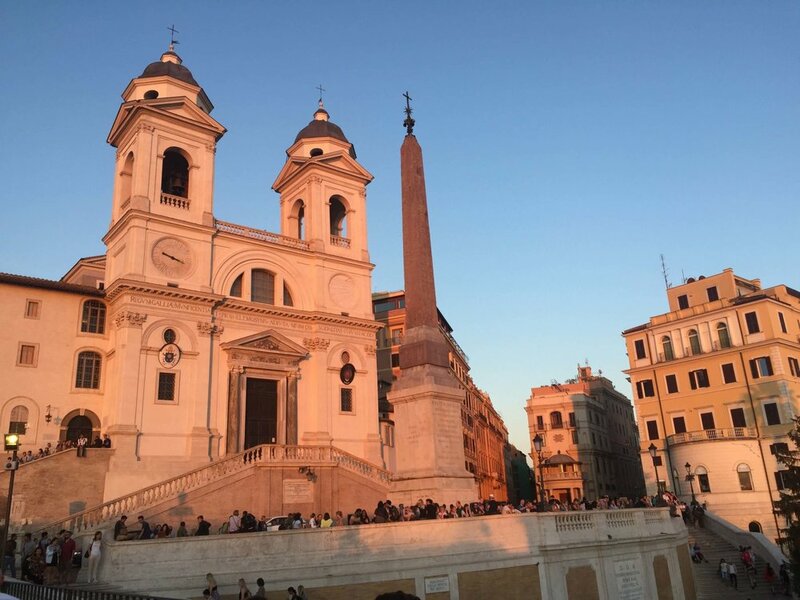 I've always noticed the cute rooftop bar overlooking Piazza di Spagna and the Spanish Steps but last weekend was the first time I got a chance to check it out. Il Palazzetto is a hotel, restaurant, cafe and bar all in one, but I wouldn't recommend it for the food. A quick aperitivo of a rossini (prosecco and strawberry puree) and a beer were what we got and while the prices are higher due to the location, the sunset and atmosphere were worth it. Great for pre-dinner drinks or a quick stop during a day of sight-seeing in the center. Here’s what I’ve been up to over the past week! I like to share my favorite activities, reads, listens and anything in general that I found interesting on a weekly basis. Last weekend I finally made it down the coast to Sabaudia, a small town between Rome and Naples. I've always loved this area (including Gaeta, Terracina and Formia) for its laid-back beach vibe, lack of crazy crowds and beautiful beaches. 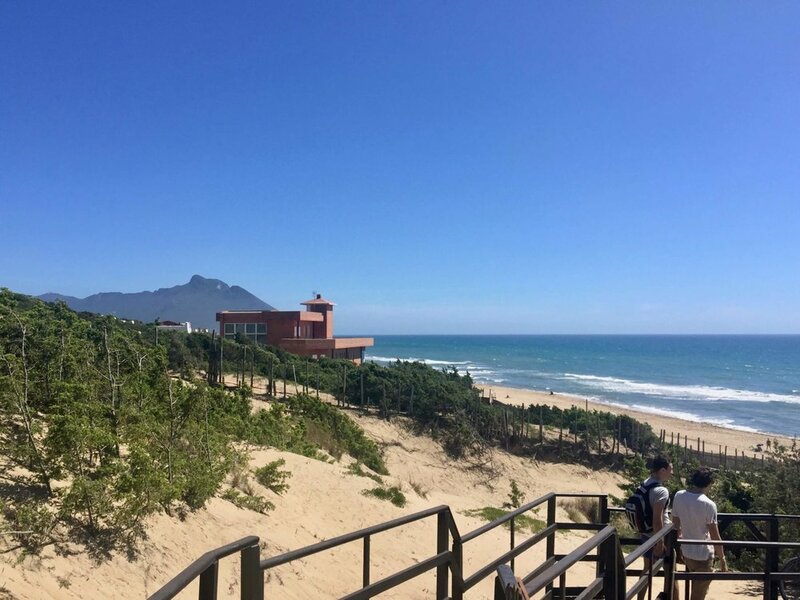 While we've taken weekend trips here in the past, Saturday I went down for lunch and some time on the beach with my boyfriend and Italian friend who is from the area. We had lunch with his family, which was VERY cool because most of the food came directly from their farm. They're surrounded by greenhouses and fields, growing their own produce to eat and sell. Of course, lunch was delicious, but it was so nice to meet some people who are from rural Italy and hear about their life on a farm/near the sea. So often I'm surrounded by city people, while I'm missing my home in the country. Our beach day was beautiful, but windy. We lounged, talked, got mojitos from a beach shack and my brave friend took a swim in the cold water. I love days like these where I have nothing crazy going on but I can be outside the city, hang out with friends and eat/drink all I want. I'm back to my gelato-a-day lifestyle and not mad about it. 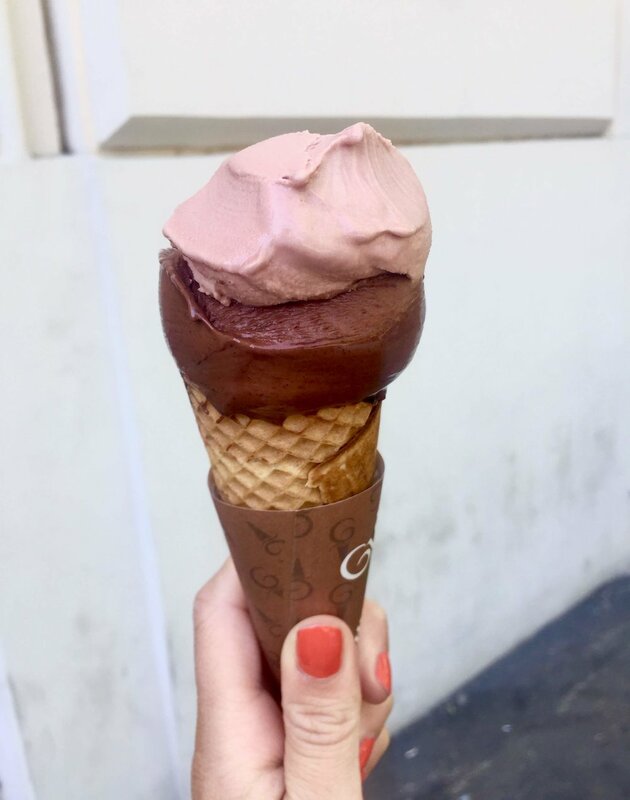 This year I plan on taste testing even more gelaterias in Rome to find the best gelato in the city, but more often than not, I grab a quick cone between lessons around my neighborhood. A couple of my favorites are La Romana, Gutilla, and Fatamorgana. I listen to a lot of podcasts about online marketing (like Smart Passive Income and Hashtag Authentic) which are really interesting for me. I studied communications and do a lot of work with social media in my day to day life and educating myself about it is always fun. If you haven't seen my Instagram page, check it out here or at @abbiestark in the app. Here's what I've been up to over the past week! I like to share my favorite activities, reads, listens and anything in general that I found interesting on a weekly basis. Last week, I celebrated Cinco de Mayo in Rome with margs, tacos, nachos and so many fellow Americans at one of my favorite Mexican places in the city. It's a tiny bar in Monti called Tacos and Beers where they make drinks and food all together in the front of the restaurant, but the food is good, prices low and drinks are strong. As good as the pizza is here, there's nothing like some good Mexican after a LONG while of going without. I've been seeing more and more content out there about the Amalfi Coast and Cinque Terre. Because these two spots are super popular right now with tourists and their busy season is coming up, it's only natural that they would be all over my Twitter, Facebook and my Bloglovin' feeds. I really liked this breakdown of the two hotspots if you're choosing which one to visit, by Walks of Italy. Georgette of Girl in Florence wrote this great piece about finding the less over-run spots in Liguria, so you can experience all of the beauty of the Cinque Terre without the insane crowds. I've been enjoying all of the blogs I'm mentioning, but a new one for me is by Rachel from Hippie in Heels. Here's her post on 4 reasons to go to the Amalfi Coast in the off season, which mirror's a lot of Georgette's reasons for enjoying a VERY popular destination without the crazy crowds. Finally, here's a throwback to my post last fall about visiting the Amalfi Coast and how to get there. I went in late September and it was such a beautiful season there: still entirely summer but with much less people around. As much as I love my new Nikon, my iPhone 6 is where I still take most of my photos. I find that in daylight, the pictures turn out really well and nothing can beat the convenience of it. I'm looking forward to practicing with my DSLR more, but for now, iPhone photography is where it's at. I can't believe it's May already. I know that this is very cliche but the year seems to be flying by. I'm just planning on enjoying the beautiful weather we have here in Rome until things really heat up for the summer and everyone stops working (July/August). After Monday, there are no more holidays in May and that feels kind of good. April was such a crazy month with long weekends and lots of plans, but I'm looking forward to a productive month of work and with my best friend coming in 3 WEEKS!! All that said, there will be a lot of planning this month. I'm trying to expand my social outreach with the blog (with Facebook and Pinterest being priorities) and I would love to start making videos. I also really need to up my Italian grammar game and get cracking on the textbook I bought myself (nerd alert). Of course, day trips to the beach will be liberally sprinkled in throughout the month. There are plenty of food festivals in Rome this month, with a food truck festival in Trastevere on the 5-7 and a wine festival (!!!) at Eataly on the 11-13. There's also a famous electronic music festival the weekend of the 25th called the Spring Attitude Festival, hosted at the MAXXI Modern Art Museum that I'm very interested in. Open all month is the Rose Garden near the Orange Garden Park that I've been wanting to go to for years! All in all, there's a ton to do this month and I want to check a lot of new things out.